It’s no secret that we love STEM activities here. Science is one of our favorites, but as my kids have gotten older, we’ve started to explore the technology side of STEM more. Monkey has had a fascination with coding and robots since she was in preschool, and she’s taken several coding courses. So of course, when Ozobot asked us if we wanted to try out the Evo, we had to say yes. 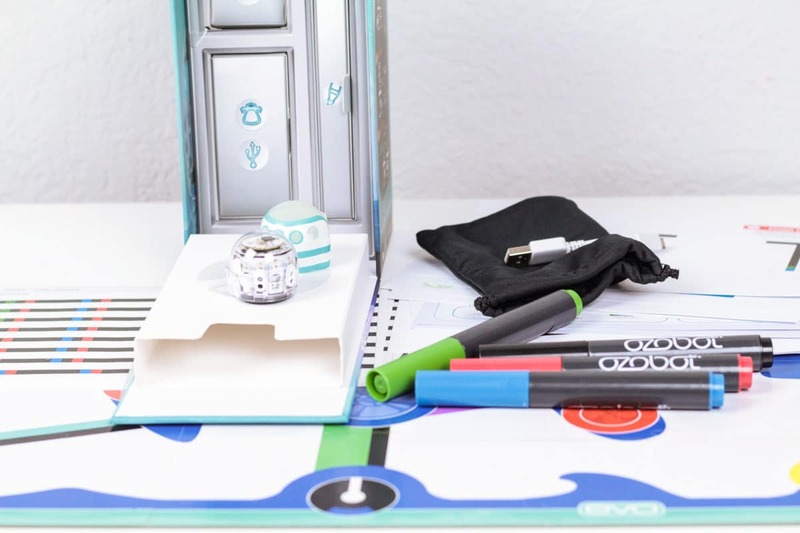 We really didn’t know what to expect from a coding robot, but it turns out, the Ozobot Evo coding robot is even more adorable and fun than we could have possibly guessed! It is the perfect accessory for screen-free coding. When Evo arrived, we were a bit intimated by all the pieces, but we watched the video below which put us at ease. This post contains affiliate links. FYI, Ozobot has given me a 15% off code for Evo for you to use! Just use code SMa15 at checkout and get this adorable robot for 15% off! 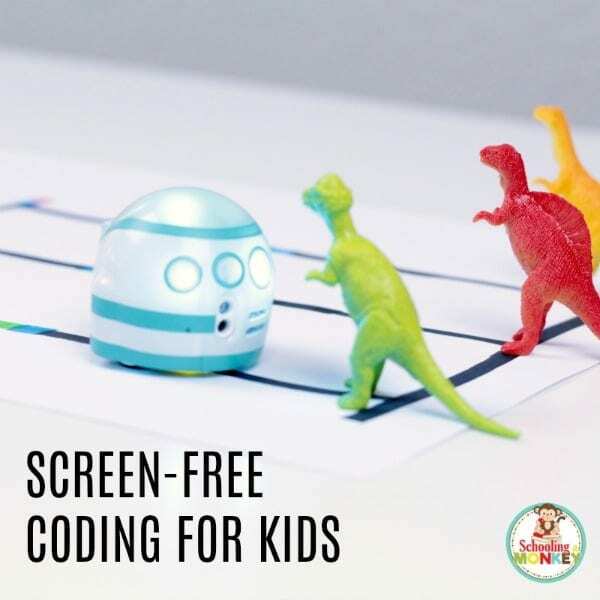 While you can do tons of coding through the app with Ozobot Evo, I wanted to try the screen-free side of coding first for a few reasons. Bo was with me, and she’s not ready for app-based coding. My kids spend tons of time on screens already, so we wanted something off-screen this time. The first thing we did was complete some of the coding challenges that were included with our Evo kit. Luckily, she came fully charged so we didn’t have to wait. If you want a quick way to play with Evo, just put her on the play puzzle mat! Bo thought this was the best thing ever. When Monkey got home, she wanted to come up with her own games for Ozobot Evo to play. So we came up with the Pick a Dinosaur game. We drew lines following the handy coding chart using the included markers to build a course for her. Then we let Evo loose and let her pick her favorite dinosaur. We ran her through the course about 20 times, and calculated how often she picked each dinosaur. She picked the red one most often! We are so excited to see what else we can do with our Evo, with more screen-free coding projects and projects using the app! 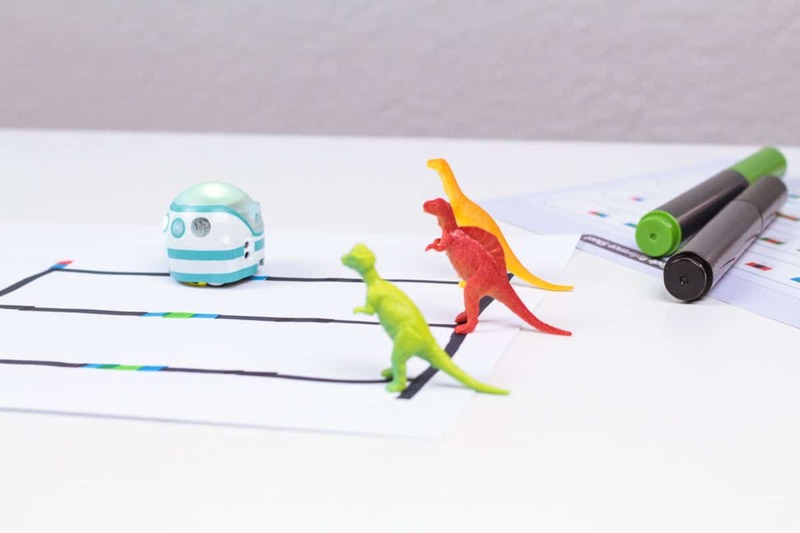 Watch us play with our Ozobot Evo in this cute video! 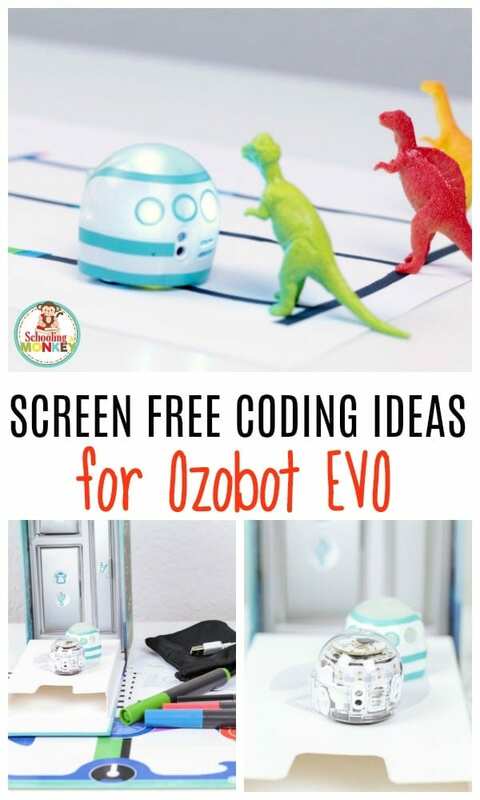 FYI, Ozobot has given me a 20% off code for Evo for you to use! Just use code SMa15 at checkout and get this adorable robot for 20% off! « Kids Today are Out of Control!